1. Updating content has never been easier. You don’t have to be a programmer to maintain a website. Sure, you’ll need a web developer to set up a CMS for your website, but after that, you can pretty much man the site on your own. Gone are the days where you need to consult (and wait) for someone else to help you modify or update your site’s content. With a CMS, updating your site is hassle-free (no codes, just easy-peasy icons and words — just imagine working on a Word document! ), and you’ll be able to do it anywhere, at any time, as long as you have an Internet connection. 2. 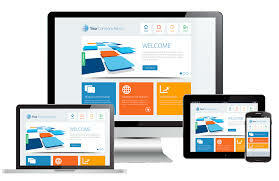 You can scale your website according to your needs. Website functionality can be scaled up or down with ease, and this ensures that your site will not be rendered obsolete should your company or its services grow in size. Simply put, if your business changes, you won’t have to create a website from scratch — all you need to do is to build on your current one. This also saves time and cost, and ultimately, business productivity. 3. Customisation also comes with ease. With a CMS, adding custom features has never been more straightforward. Let’s say you’re in the restaurant sector, and business has been improving so much that you want to look into online reservations. No problem — just integrate a reservation plug-in to your website, and voilà, your customers will be able to check for availability or make reservations 24/7, from wherever they are. We’re sure your staff will thank you too. The same can be done for additional features like RSS feeds, appointment scheduling, galleries, 24/7 chat helplines and so much more. CMS allows administrators to control access to specific features on an individual basis. You’ll also be able to check which member of your team last made changes to posts and texts — not so much for trust issues, but for the sake of clarification, should the need arise. Are you to jump on the CMS bandwagon? Contact us for a non-obligatory discussion today!